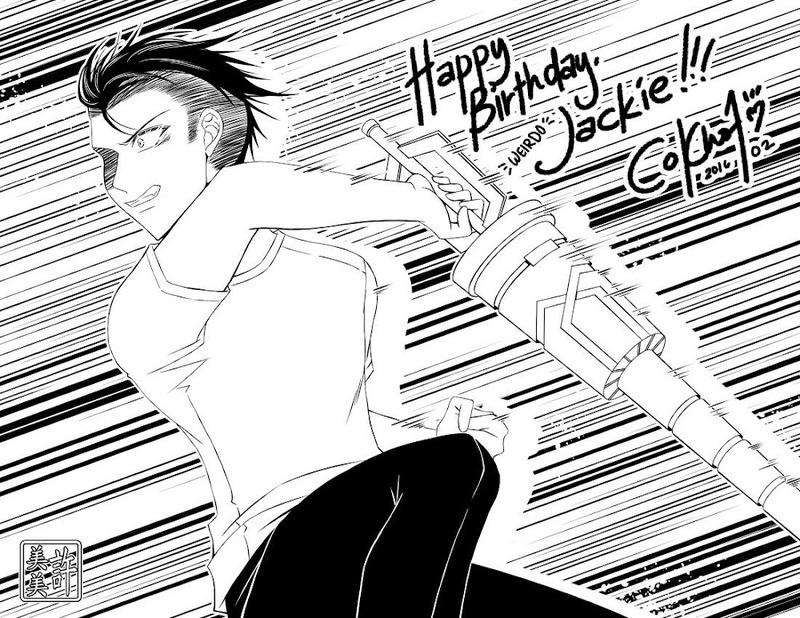 黑火子 ~Kurohiko: HBD Weirdo Jackie! I was hoping I could post this at a better time so that more people could see it, but life has other plans. 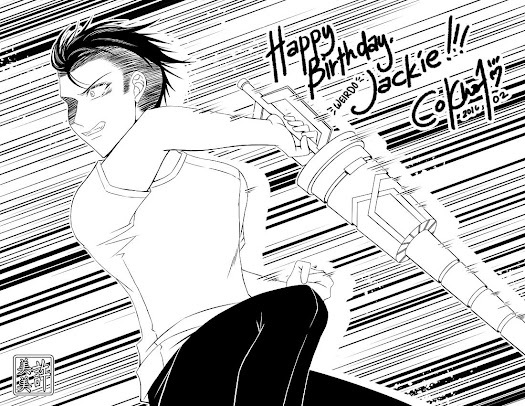 Anyway, Happy Birthday one again, Weirdo Jackie! This is his character (who is also an anime version of himself) from his manga, “Kisapmata: EDSA”! 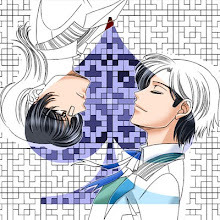 Misaki-taichou got his friends together to make a scrapbook for his birthday, which I think is really sweet, even if I do find Jackie really, really weird. I’m not sure if I got the weapon right, but I couldn’t color this since the requirement was “black and white only”! I wanted to add tones too, but I was trying to beat a deadline at the time.